Funny how things start to come full circle once you discover new information and continue to dig deeper. This post is not necessarily dedicated to any artist but the song entitled “Wildflower”. The first time I ever heard this song was by way of the soul group New Birth. I’ve come to find out that the original song was actually penned by a Canadian psych rock/pop band called Skylark. 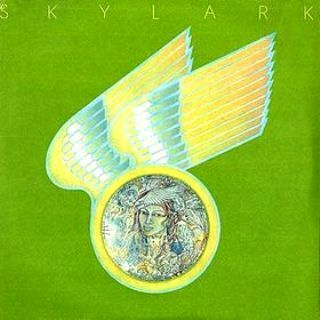 (via wiki) Skylark was a Canadian pop/rock band active from 1971-1973 and based in the Pacific Northwest. The band formed from one of Ronnie Hawkins’ backup groups and signed with Capitol Records, releasing a self-titled album in 1972 which spawned three singles. The group, whose alumni include renowned composer/arranger David Foster, disbanded after the lukewarm reception of their second album, 2, and its members achieved mixed success in other projects. Their biggest single, “Wildflower”, was a 1972 number one hit in Canada, peaking at #9 on Billboard’s Hot 100 chart, and selling over a million copies. It was written by guitarist Doug Edwards and Dave Richardson, who was a Victoria police officer at the time. 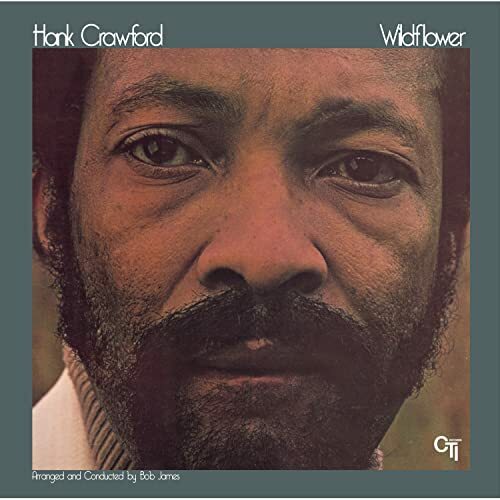 “Wildflower” is an early example of the power ballad, featuring a strong, emotional lead vocal, a blend of electric guitar, strings and harp, distinctive “slow dance” percussion, and almost-gospel background vocals. 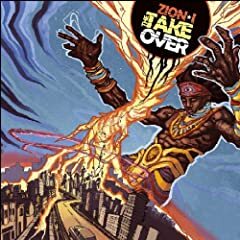 It has since been covered by Johnny Mathis, The New Birth, The O’Jays, Kenny Rogers, Aaron Neville, Gary Morris, Color Me Badd, Lisa Fischer, Hong Kong superstar Sandy Lam, and sampled by Tupac Shakur and Jamie Foxx. I couldn’t find much else on this band but this interview with David Richardson, author of the song, is a worthwhile read as he tells us what inspired the song. Skylark was David Foster’s first band, based in Canada. They had in 1972 a huge success with the single “Wildflower”, which has been in the Top 40 BillBoard chart. A. David Foster and I became close friends in 1967 when he was 17 and I was 25. He was playing piano in a night club (“The Old Forge”) here in Victoria. I was a cop with the Saanich Police Department (Saanich is a municipality in Greater Victoria) and I used to go to the “Forge” quite often. I had been writing songs and poems since I was a child, so we had music in common in our friendship. Q. “Wildflower” was a Top 40 hit on BillBoard chart with the group Skylark. You wrote the lyrics, how did you got the inspiration ? A. In 1970 I was dating a nurse, whom I would eventually marry in 1971 (it only lasted four years, though – we were both not ready for such a commitment). One night I went to pick her up at her apartment, as we had planned on going out. When she opened the door I saw that she was upset to the point of tears. She still had a housecoat on and had her hair wrapped in a towel after a shower. She told me that two elderly ladies she had been caring for in the hospital had died that day at work, and she felt terribly sad about it, as she had come to know them fairly well over a period of time. Anyway, she more or less vented her feelings and I just listened. After she was finished, she thanked me for listening, and said she would get ready for our date. She went into the bedroom and closed the door, and I sat and watched TV waiting for her to come out. When she didn’t return, I knocked on the door but she didn’t answer, so I went in to find her fast asleep on the bed, still in her housecoat and with the towel still wrapped around her head. I guess she was just exhausted after her emotional day. So, I put a blanket over her, being careful not to wake her, and went home and wrote the song in about fifteen minutes or so. It was absolutely inspired. I have always felt that all I did was hold the pen in my hand, and that God did the writing. The “Be careful how you touch her, for she’ll awaken” part, refers to when I put the blanket over her. “The way she’s always paying, for a debt she never owes…” – It wasn’t her fault that the two ladies had died, and yet she felt so badly for them that she was crying. A. Yes. In the years that followed, I have received many, many letters from around the world, saying how the song had changed the lives of so many people. Perhaps the most momentous of these letters was one from here in Victoria, years after the song was a hit. A local woman sent me a letter (addressed to me at the police station), saying that when she was a girl of about 17-18, her life had become more than she could bear and she decided to end it all. She was at a local beach and was waiting for sun to do down and for the people to leave the beach so she could commit suicide by drowning herself. When it got dark, she started walking into the water. She had left her purse and belongings on a blanket in the sand, along with her transistor radio. When she got up to her shoulders in the ocean, she heard from her radio behind her, for the first time in her life, “She’s faced the hardest times you could imagine…” She stopped in the water and listened to the entire song, and when it was over she turned around and walked out of the water. At the time that she wrote me the letter to thank me for the song which saved her life, she had grown and was happily married, a mother of either 2 or 3 small children (I forget the number). When I consider the money the song has made, I would have gladly traded every cent of my share for that one letter. Nothing has mattered to me as much as that letter and others like it, where the song has changed so many lives for the better. This is why I really do believe that God, in Whom I truly believe and for Whom I now live every day of my life, inspired me to write that song. Q. Can you describe us the mood of the recording session? What was David’s impact on the arranging of the song? A. Selflessly, in “Wildflower”, although David was the leader of “Skylark” and its keyboard player, “Wildflower” was the one song on the album “Skylark” on which he DIDN’T play at all. David told me that he felt it was better without keyboards; thus, you will hear the haunting guitar of Doug Edwards (with whom I wrote the song – Doug wrote the music). His guitar is intertwined with a harp, which David arranged to get from the L.A. Symphony – the same as the strings, from the same orchestra. Also, all the background vocals you hear are all the same voice, that of lead singer Donny Gerrard, whose wonderful voice has been so identifiable with the song over the years. By the way, the lead guitar throughout the song? Doug had NEVER rehearsed it! The first time ever that he had played it is what you hear on the record. They were in the studio trying to figure out how to start the song, and Doug said, “Let me try something on the guitar…” He more or less started picking away, and, having written the music, went all the way throught the song by himself playing the lead… After over four minutes of doing that, including not playing at times when he could imagine in his mind Donny singing the words, he said to the others, “I like that. Let’s record it before I forget what I just played.” The engineer said, “It’s already recorded.” Wisely, he had taped Doug’s “practice” instrumental without anyone knowing it. So, the lead guitar you hear in that recording had never been written, never rehearsed whatsover! What you hear in that guitar solo, all the way through the song, was the absolute original. Doug played each note as the idea came to him, AS he was playing it. Again, I believe the entire song was divinely inspired. A. He and I remain close friends to this day. When I go to California, I stay at his place in Malibu, and I see him quite often up here when he visits his family here in Victoria. My younger brother Doug, also a retired Victoria policeman, is currently president of the David Foster Foundation which, as you know, raises money for the families of children who have to have surgery out of the province of British Columbia, here in Canada. That is what David is all about – a completely wonderful, selfless person who does so many things for so many people. I have really cherished his friendship all these years, as I will for the rest of my life. Now that you know the background of the song, there’s 3 versions that we’ll focus on: 1) The original by Skylark. 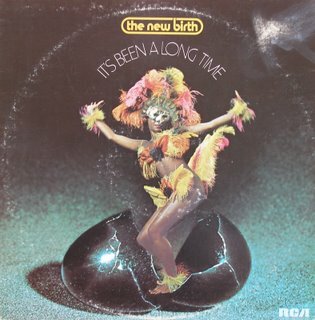 2) New Birth, and 3) Hank Crawford. 1) SKYLARK – WILDFLOWER. White band+Black vocalist= Soulfull tune! Sorry no download for this one but here’s a vid. This is the version I know and love. To top it off, they add a heart wrenching monologue towards the latter half of the song. One of the bests I’ve heard thus far!!! Another obscure but familiar jazz sample from the saxophonist. You’ll know once the horn comes in mimicking the lyrics “She’s faced the hardest times you can imagine…” HINT: Check out Tupac’s All Eyes on Me and Kanye’s Late Registration. And if you can’t get enough of this song. CLICK HERE for a complete discography of everyone who has covered the song.